The Stone Arch bridge is on the left. Southeast Minneapolis is on the other side of the Mississippi River. At center frame is a steam plant for the University of Minnesota (with four black smokestacks). On the right, the new Guthrie can be seen. 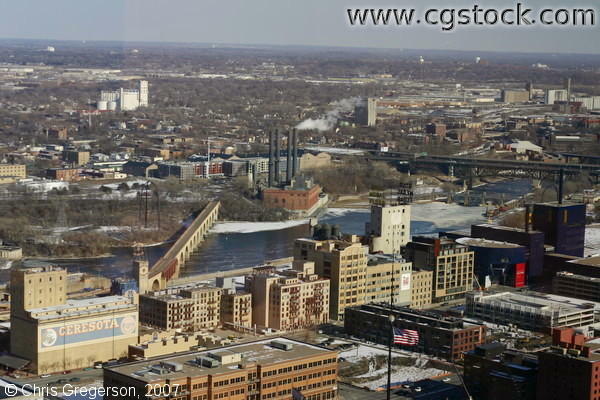 Left of center is the Stone Arch Bridge.